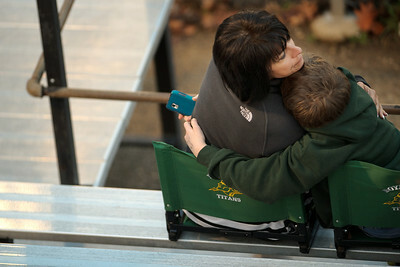 Daniel J. Murphy - dmurphy@shawmedia.com Teresa White of Orlando, FL (left) hugs her nephew Reid Walter of Rockford during the Boylan/Cary-Grove game Friday March 23, 2012 at Cary-Grove High School in Cary. Boylan Catholic defeated Car-Grove 2-1. 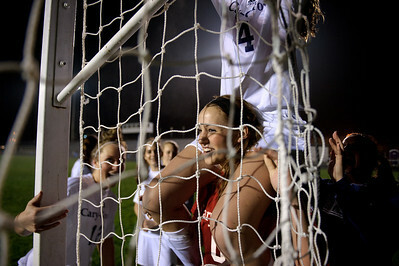 Daniel J. Murphy - dmurphy@shawmedia.com Cary-Grove goalkeeper Paige Lincicum (lower) helps teammate Sierra Romero (top) take down the net after the game Friday March 23, 2012 at Cary-Grove High School in Cary. Boylan Catholic defeated Car-Grove 2-1. Daniel J. Murphy - dmurphy@shawmedia.com Boylan forward Maura Korchak (left) and Cary-Grove defender Michelle Kalenda (right) go after the ball in the first half Friday March 23, 2012 at Cary-Grove High School in Cary. Boylan Catholic defeated Car-Grove 2-1. 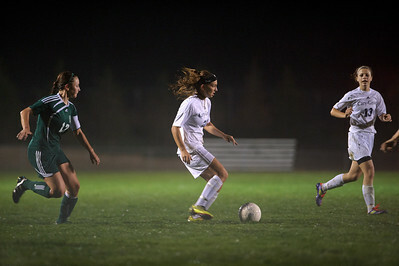 Daniel J. Murphy - dmurphy@shawmedia.com Boylan defender Mackenzie Fray (right) moves the ball past Cary-Grove defender Sierra Romero (left) in the second half Friday March 23, 2012 at Cary-Grove High School in Cary. Boylan Catholic defeated Car-Grove 2-1. Daniel J. Murphy - dmurphy@shawmedia.com Cary-Grove midfielder Liz Koch (center) attempts a shot on goal past Boylan goalie Shelby Sonnefeldt (right) in the second half Friday March 23, 2012 at Cary-Grove High School in Cary. Boylan Catholic defeated Car-Grove 2-1. 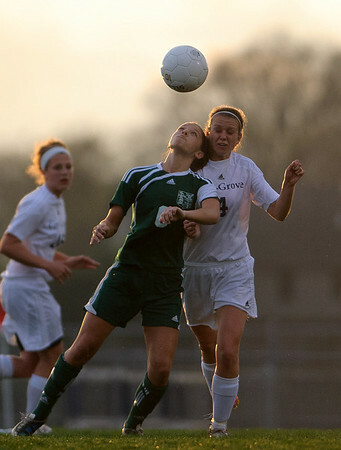 Daniel J. Murphy - dmurphy@shawmedia.com Boylan forward Emma Krahmer (left) and Cary-Grove defender Megan Townsley (right) fight for the ball in the second half Friday March 23, 2012 at Cary-Grove High School in Cary. Boylan Catholic defeated Car-Grove 2-1. 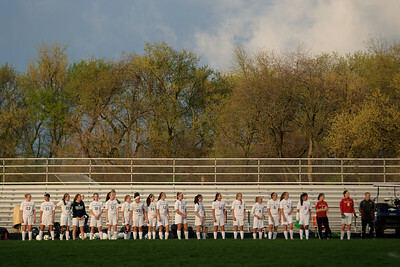 Daniel J. Murphy - dmurphy@shawmedia.com The Cary-Grove girls soccer team lines up for the National Anthem before their match against Boylan Catholic Friday March 23, 2012 at Cary-Grove High School in Cary. Boylan Catholic defeated Car-Grove 2-1. 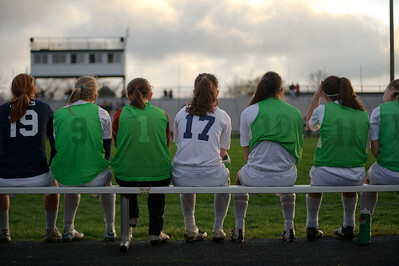 Daniel J. Murphy - dmurphy@shawmedia.com Cary-Grove players watch from the sideline in the first half Friday March 23, 2012 at Cary-Grove High School in Cary. Boylan Catholic defeated Car-Grove 2-1. 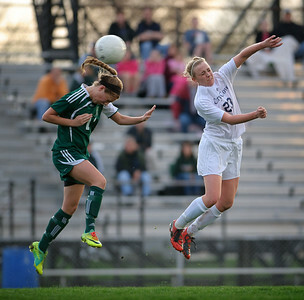 Daniel J. Murphy - dmurphy@shawmedia.com Boylan midfielder Abby Reed (left) and Cary-Grove midfielder Kate Boyd (right) go up for the ball in the first half Friday March 23, 2012 at Cary-Grove High School in Cary. Boylan Catholic defeated Car-Grove 2-1. 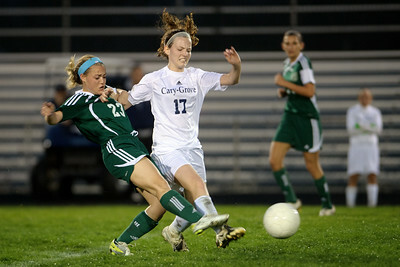 Daniel J. Murphy - dmurphy@shawmedia.com Boylan midfielder Sydney Rumple (left) and Cary-Grove midfielder Kate Boyd (right) fight for the ball in the first half Friday March 23, 2012 at Cary-Grove High School in Cary. Boylan Catholic defeated Car-Grove 2-1. Daniel J. Murphy - dmurphy@shawmedia.com Officials prepare for the start of play between Boylan Catholic and Car-Grove Friday March 23, 2012 at Cary-Grove High School in Cary. Boylan Catholic defeated Car-Grove 2-1. 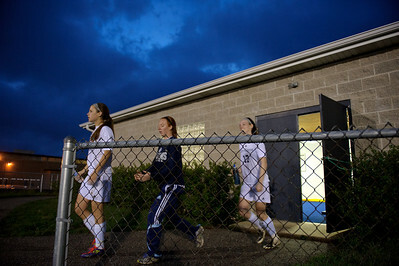 Daniel J. Murphy - dmurphy@shawmedia.com Cary-Grove girls soccer players leave the field after their 2-1 loss to Boylan Friday March 23, 2012 at Cary-Grove High School in Cary. 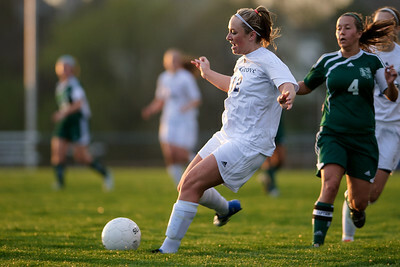 Daniel J. Murphy - dmurphy@shawmedia.com Cary-Grove midfielder Brittany Loehner (left) moves the ball past Boylan's Alexa Wright (right) in the first half Friday March 23, 2012 at Cary-Grove High School in Cary. Boylan Catholic defeated Car-Grove 2-1. Daniel J. Murphy - dmurphy@shawmedia.com Cary-Grove forward Korey Kronforst (center) moves the ball up the field in the second half Friday March 23, 2012 at Cary-Grove High School in Cary. Boylan Catholic defeated Car-Grove 2-1. 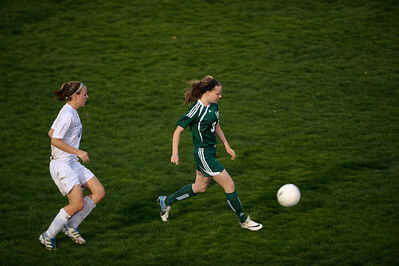 Daniel J. Murphy - dmurphy@shawmedia.com The Cary-Grove girls soccer team takes to the field for the second half of play against Boylan Catholic Friday March 23, 2012 at Cary-Grove High School in Cary. Boylan Catholic defeated Car-Grove 2-1. 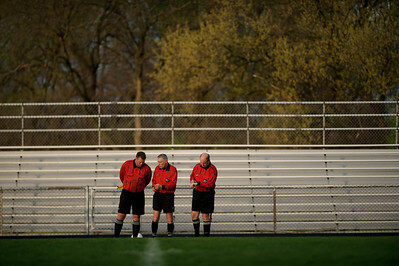 Officials prepare for the start of play between Boylan Catholic and Car-Grove Friday March 23, 2012 at Cary-Grove High School in Cary. Boylan Catholic defeated Car-Grove 2-1.